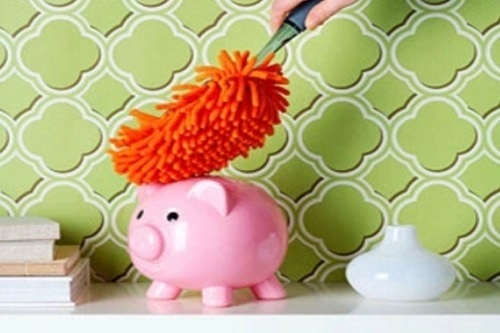 Now that you have likely submitted your tax returns and have that tedious task behind you, it is a great time spring clean your finances and ensure all is in order for the coming year. Here are some tips to help tidy up! Secure your tax information. You likely notice each year that quite a bit of highly sensitive financial information is contained in your tax documents. In the wrong hands, this could be catastrophic in terms of your identity and security. Make sure all tax documents are housed in a locked location, preferably a safe. Also, it is a good idea to keep an electronic copy in a safe digital place just in case. Check your insurance policies. If you have completed a home renovation, your insurance should be updated to reflect the increased value. Umbrella policies are also something to have a look at, as the extra liability coverage will protect your assets beyond what your current policies. This is also an excellent time to shop around and make sure you have the best rate available to you for all of your insurance products. Have a paper shredding party! Paper has a way of piling up fast! Some towns offer free shred days if you don't have a shredder in your home. Either way, it is a good idea to shred any paperwork you have held on to for more than seven years (which is the length of time the IRS suggests you keep important information). Of course, hold on to things like birth and marriage certificates indefinitely, and keep warranties and titles for as long as you own those items. Take a video of your home. This is a quick and easy way to catalog your valuables throughout your home in the event of a disaster. Take close-ups of brand names and serial numbers for larger items and talk in to the camera to describe any valuables in greater detail if needed. Check your estate documents. Make sure wills, trusts and other estate documents are up to date and that your named beneficiaries are current. As always, we are here to help you organize and simplify your financial life. Give us a call if you would like to review your accounts or to discuss any aspect of your finances-we would love to hear from you!